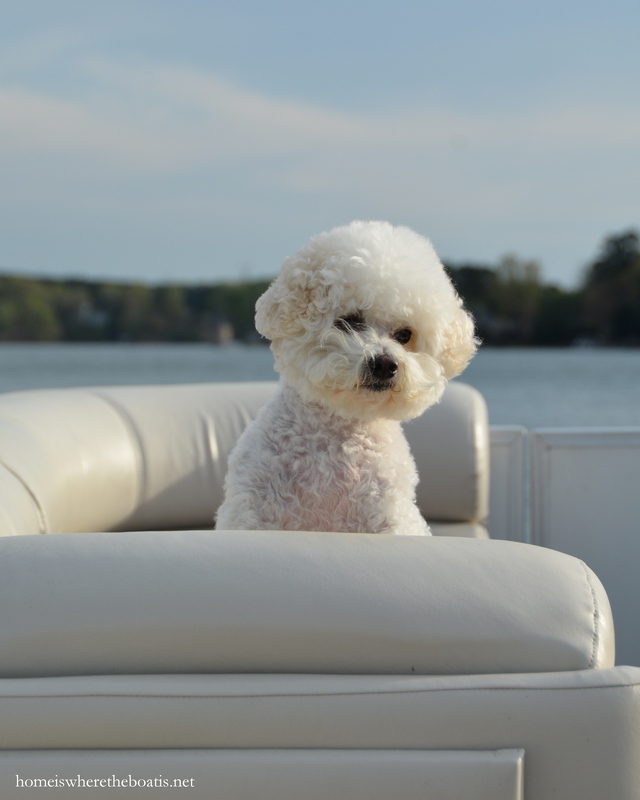 We had the first boat ride of the season last weekend. . . The highlight of every dog’s weekend. Enjoying the wind in our ears again. 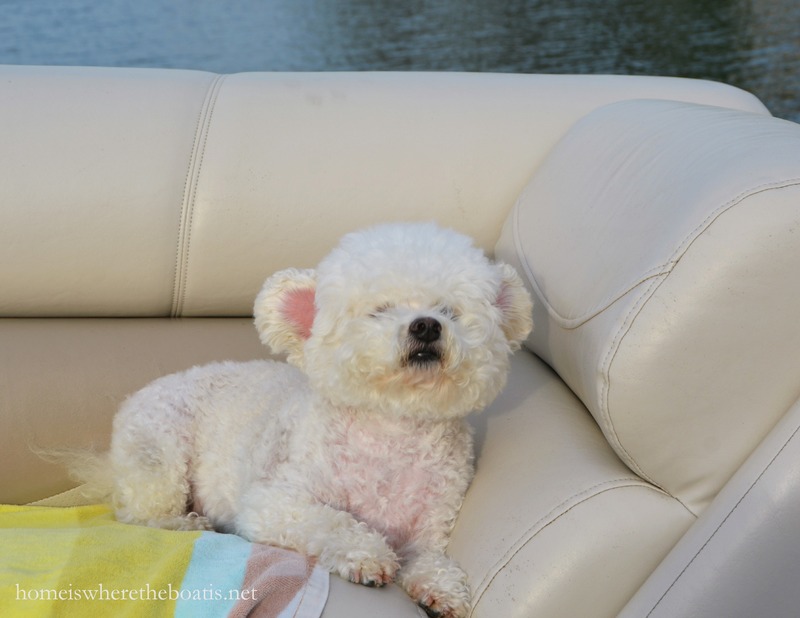 . .
Gracie’s showing signs of boating bliss. . .
We all take allergy meds in our house in the spring with the tree pollen. Chloe & Gracie take a veterinarian-approved children’s chewable Claritin everyday. 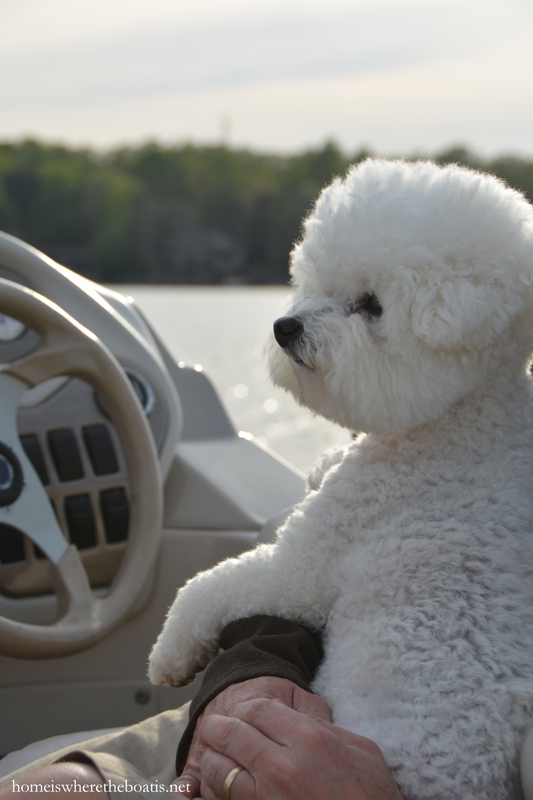 The Captain’s chair and lap is the boat seat of choice. . .
We’ve had a very wet week but hopefully those April showers washed most of the pollen away. We’re looking forward to seeing the sun again Saturday before more showers return Sunday. 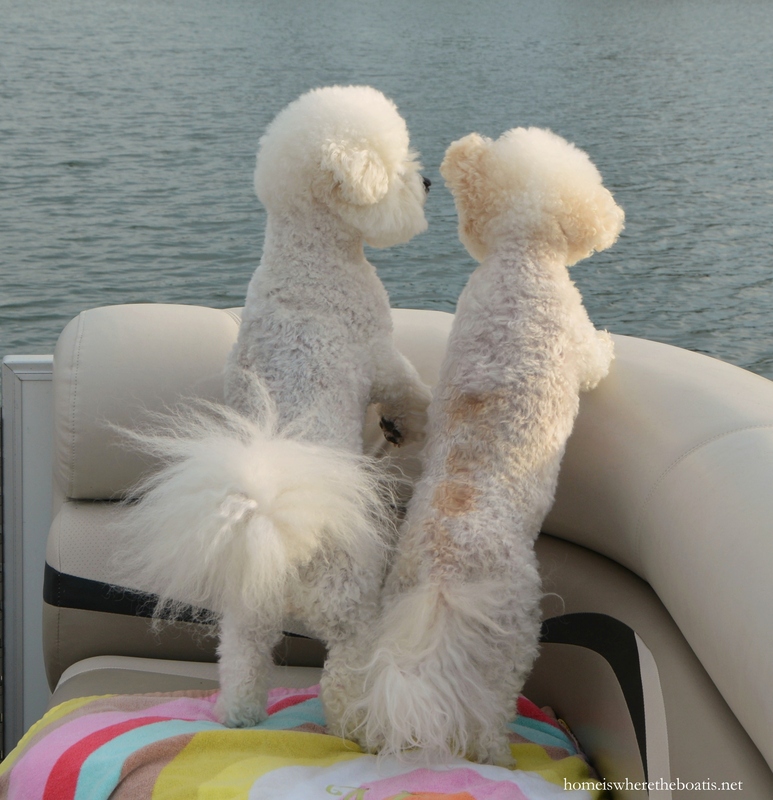 Chloe & Gracie wish you a happy, sunny and allergy-free weekend! Love your pictures. We just rescued a Westie earlier this year. She has brought us so much joy. I live in Gastonia – I always enjoy your plate settings, potting shed and dogs. Absolutely adorable! Dogs are the best. Great pictures, and looks like a great time! Love the one with the ears flapping open in the wind. They are the cutest pups, Mary. I loved the mosaic at the end with the setting sun in the center..too pretty! I hope you, your hubby and pups can get out again today. Happy weekend! Just precious! You have the cutest pups and photos! 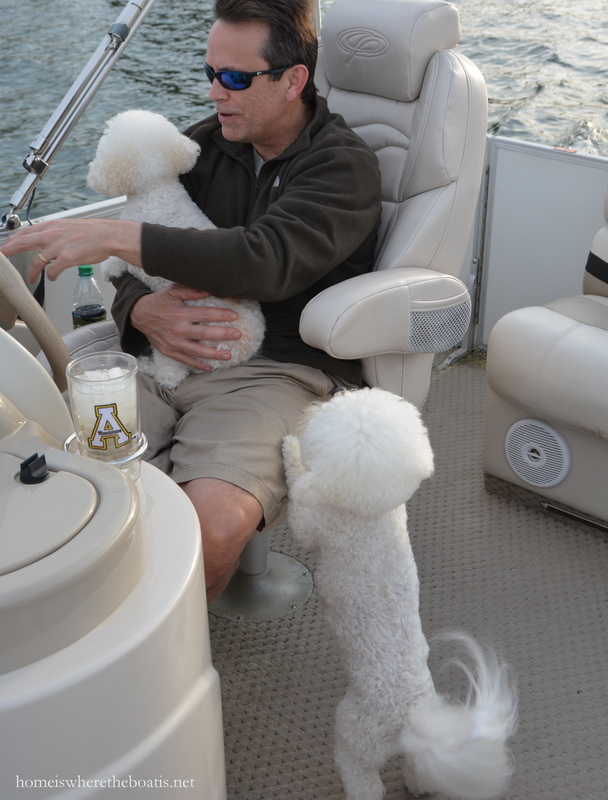 I know they love their boat rides! Have a wonderful weekend! 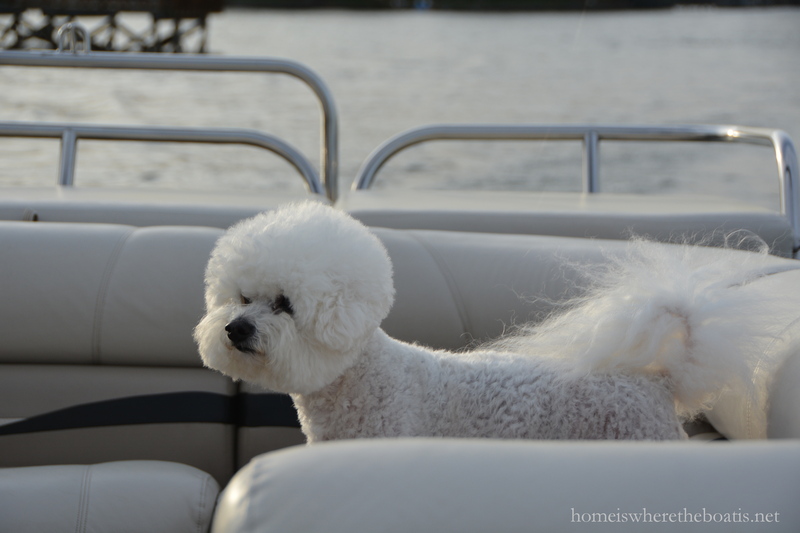 How lucky you are…the first boat rides of the season are always so exciting. Checking out all the changes the winter brought to the lake and seeing everything as it was. 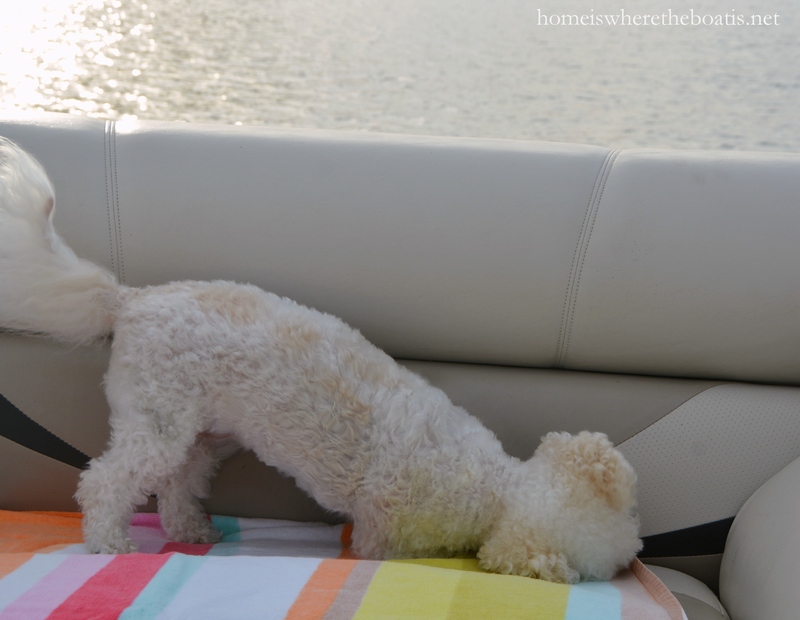 My yellow lab, does exactly the same thing that Chole does…turn upside down in joy on the seat of our pontoon. Alas, Our first ride is a month plus off…our lake is still ice covered! Hope you have a great weekend, and take a ride for me. Love seeing pictures of Chloe and Gracie! It’s nice to return to the “water” after a long winter. We are visiting in Pensacola and it is raining as well!💦. 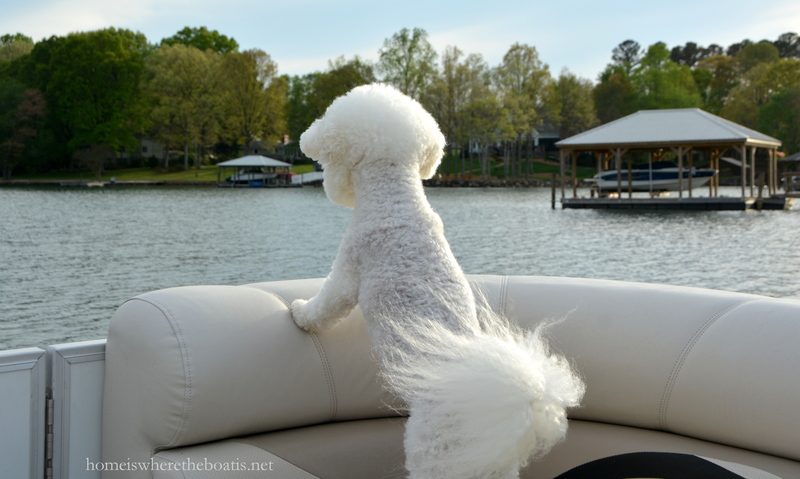 To more sunshine , boating and warm weather! Have a great weekend! I love your dogs! Very cute pictures. Thanks for sharing! Your dogs are just so precious! I love seeing pictures of them! Have a wonderful weekend and enjoy the great weather!! Just love these pictures of your little sweethearts! Makes my heart sing. 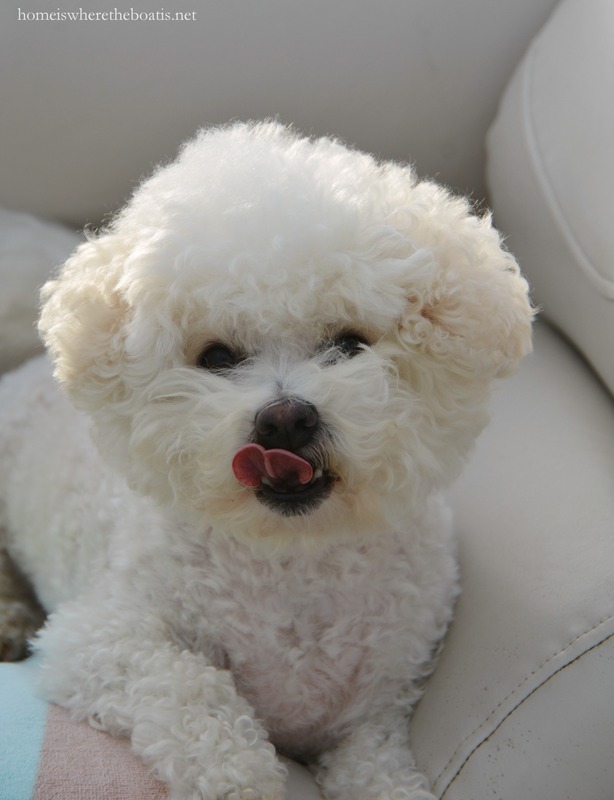 Your Bichons are so adorable. 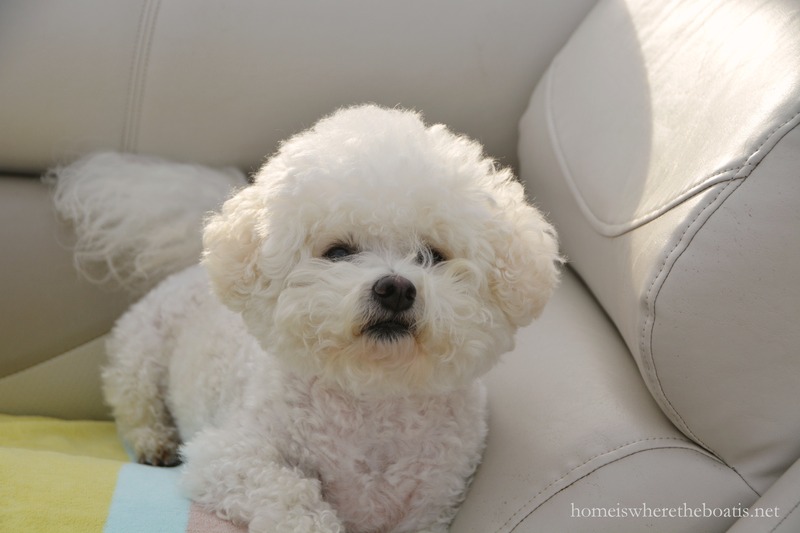 I miss our bichon Nicky. I L-U-V those babies!!! Do they realize how many friends they have out here in blogland????? 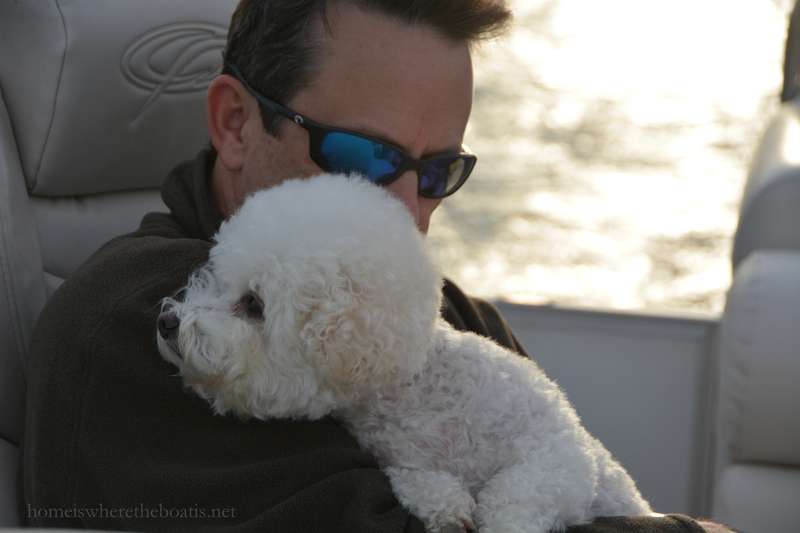 The girls are well loved and taken care of…I love to see them enjoying quality time with their folks! 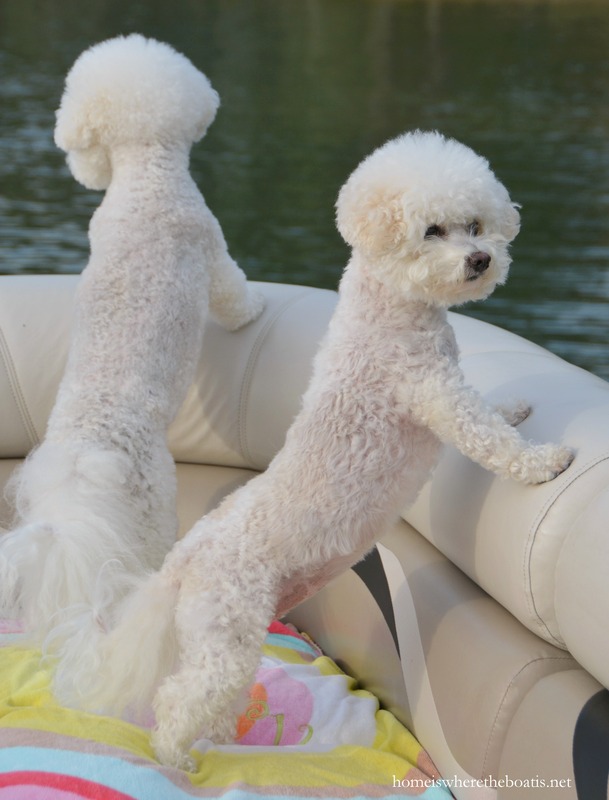 we have two bichon girls and live on a lake with the pontoon. They know exactly when we grab the boat key… can’t fool em, can’t trick em. Love their boat. I love seeing your puppies! This looks so fun. We take our cats to Sonic in the car and people think that is hilarious. Great pictures. Hmmm. Chloe and Grace are just adorable, and the captain is looking mighty fine, too! 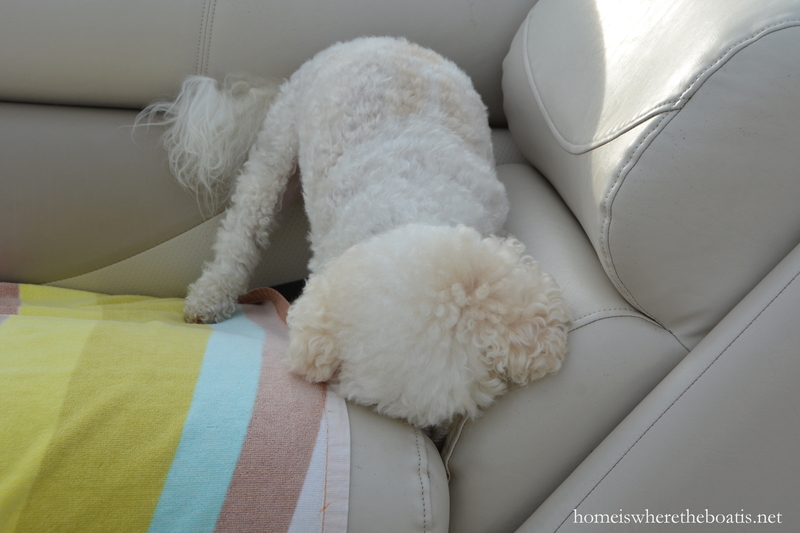 Hope you were able to squeeze in another boat ride today. 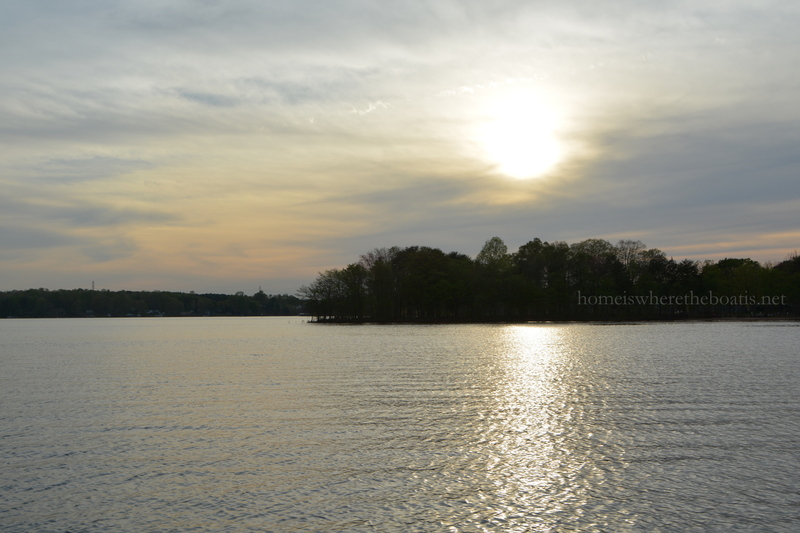 Your pictures make me miss, SO much riding on my SIL’s pontoon and my FIL’s pontoon. Some of my best memories. Your little girls are so adorable. Thanks for sharing and I hope you get better weather. We had SUMMER today, 83 degrees!!!!! Tomorrow we go back to the 60’s but I’ll be happy with that too! They are just too sweet! Hugs to the girls! Oh those poor sweet babies, I didn’t know dogs could have problems with spring pollen! We are washing away in the rain around here, but it’s worse at the beach so that makes thoughts of boating seem very far away! 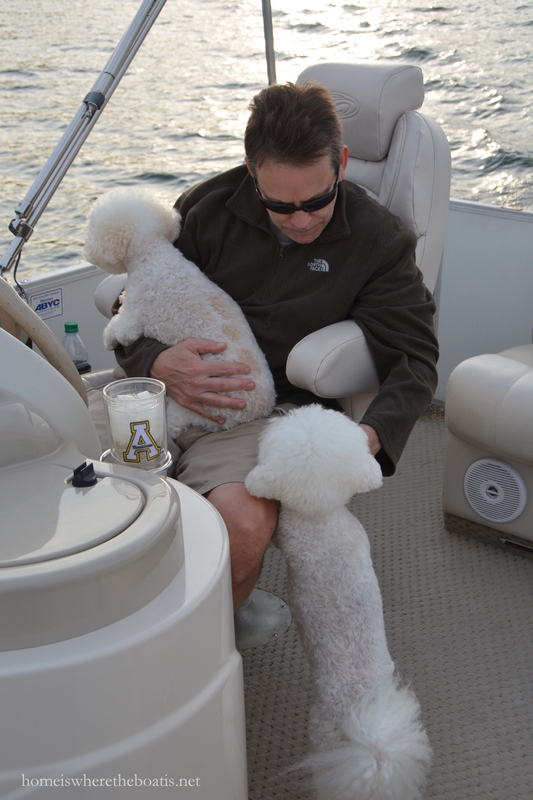 Nothing rejuvenates the soul faster than a sunny day on the water~ So adorable that they both want to sit on Dad’s lap! What a ride! Chloe and Grace are just precious and seem to love the ride! What a delightful post!! 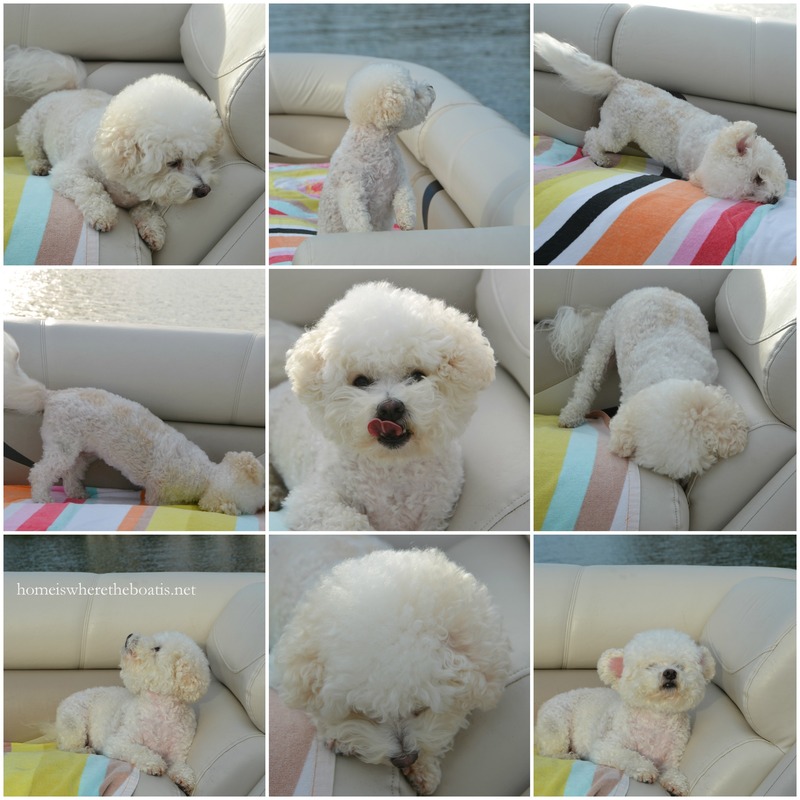 Enjoyed your boating photos! The dogs looked like they were really enjoying the day. We too are getting rain here in Michigan. We have a ways to go before we launch our sailboat on Lake Michigan and began our sailing fun. 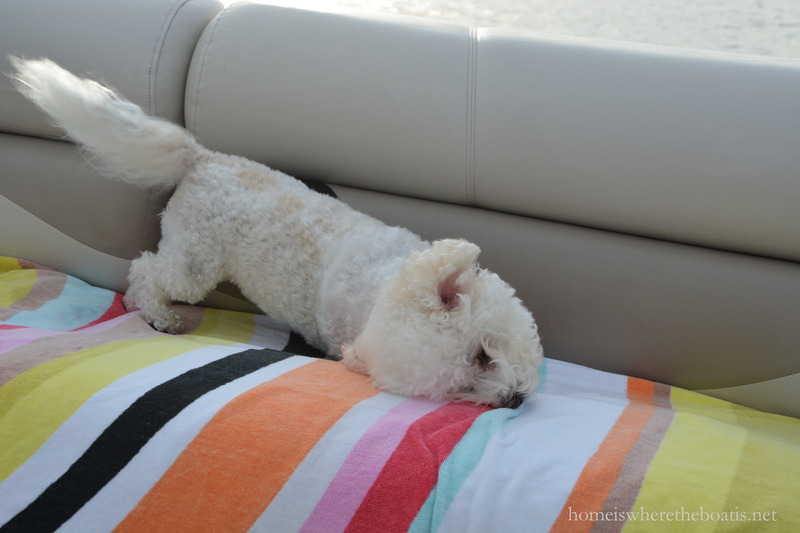 A day on the water is really invigorating and makes sleep that night nice. Enjoy your post!!! They are the cutest!! !…and yes, hope the rain washes away the pollen..we are certainly going to get lots of it….until I babysat my granddog, I had no idea that pollen affected dogs too….he was sneezing away the other day! 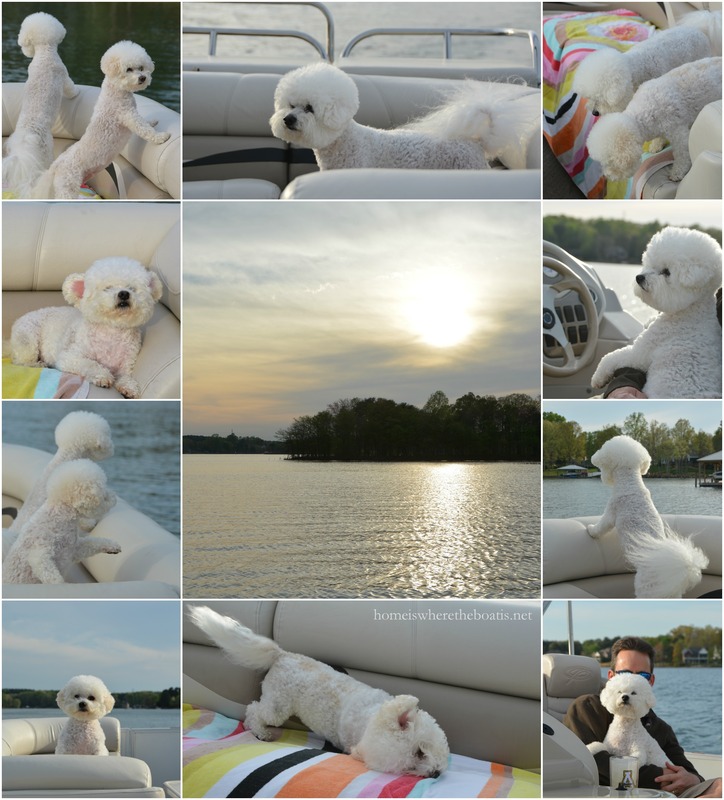 Great pictures I can’t wait to see more as the weather warms up! Here in Kentucky we wait to put our boat in until much of the debris from heavy rains has disbursed from the lake.